Although our service is the free fax to email, we can link your 086 number to a Fax from PC service. You can send a fax from any document, such as Microsoft Word, Excel, with the print feature. 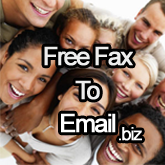 You can send a fax directly from your email. This is a pre-paid service and rates do apply. For more information on how to send a fax, please view this Virtual fax - (email to fax) page.